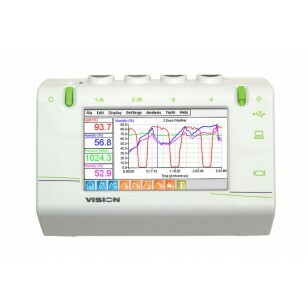 EasySense VISION completely replaces the standard PC & Logger or Interface combination - a huge cost saving! 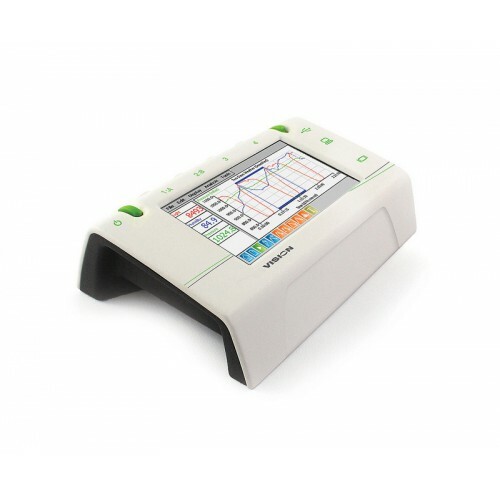 (it can still be used as both a remote data logger and with a PC when required). 2 SmartQ Digital inputs used as A & B for Time / Velocity & Acceleration experiments. USB Client : Mouse, Wireless Mouse, Keyboard, Memory Stick, HP PCL Printers etc. Standalone - without a PC! 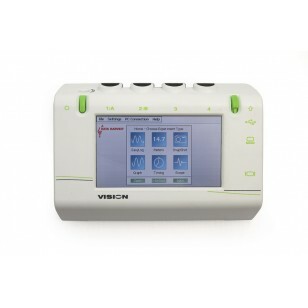 VISION offers many new and exciting features including a full colour high resolution LCD touch screen. The graphing and analysis tools, normally only found on the PC are now built-in. 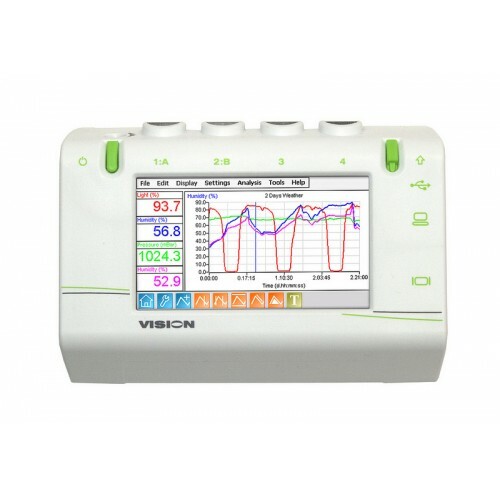 VISION can even print out the graph (to most HP PCL Printer) VISION is truly a stand-alone data logger and analysis tool. VISION has a large user memory for storing data files. Captured data can be transferred to a PC either by direct USB connection, or via a Pen Drive (Flash memory stick). Tip. At the end of a lesson students can save their data to a pen drive and transfer it back to a school PC or take it home to analyse and write reports on their own PC. Data captured on VISION can be transferred to the PC and opened directly into PC EasySense software. Workroom setup files can be transferred to & from VISION. Connect VISION to the PC using the supplied USB cable. VISION will appear as a removable storage device on the PC (No special drivers required).